If you thought major quakes have fallen off a cliff edge recently well you would be correct. We have to go back 22 days since the last major quake struck our planet, a magnitude 6.2 in Tajikistan. This, however, could be about to change in the coming days as a massive coronal hole on the surface of the sun has turned to face our planet. We should expect major quake activity. 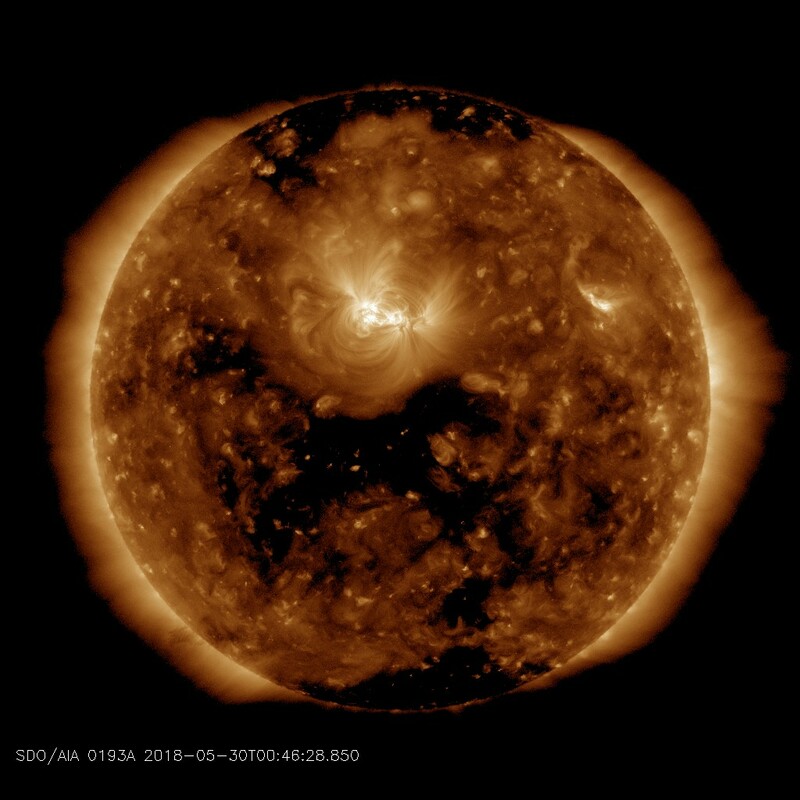 According to Spaceweather.com, NOAA forecasters say there is a 60% chance of G1-class geomagnetic storms on June 1st when a solar wind stream is expected to hit Earth's magnetic field. The gaseous material is flowing from an equatorial hole in the sun's atmosphere. This is a coronal hole--a region where the sun's magnetic field has opened up, allowing solar wind to escape. It looks dark in this extreme UV image from NASA's Solar Dynamics Observatory because the hot gas normally contained there is missing. Soon it will hit Earth. High-latitude sky watchers should be alert for auroras when the solar wind arrives, especially in the southern hemisphere where autumn darkness favours visibility. 42 of the 43 major quakes this year have occurred during coronal activity on the sun.